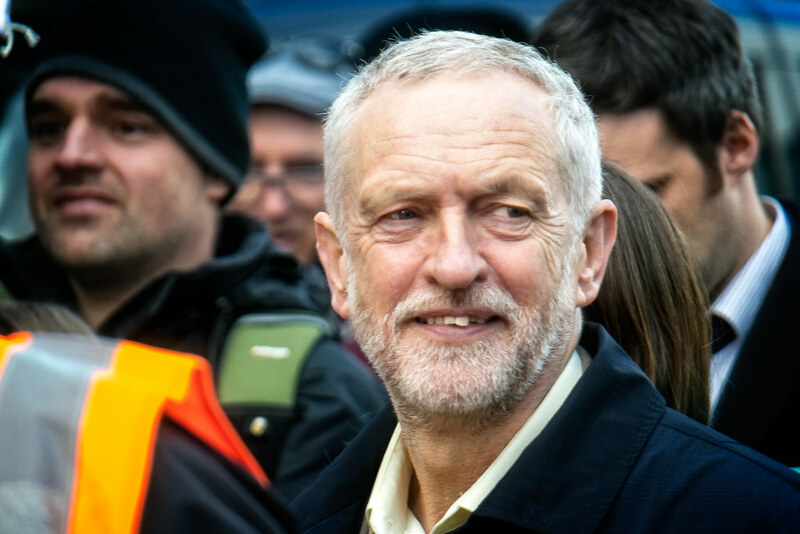 A contest between Rees-Mogg, who consistently tops Tory member leadership polls, and Corbyn would fascinate not only because of their profound political differences, but also their striking similarities. Their respective political worldviews have a pleasing symmetry. Corbyn’s advocacy of an interventionist state is countered by Rees-Mogg’s faith in the market. Rees-Mogg’s nostalgia for Empire finds its inverse in Corbyn’s anti-imperialism. And Corbyn’s agenda for radical reform contrasts with Rees-Mogg’s veneration for Britain’s unwritten constitution. The differences between Rees-Mogg and Corbyn are so clear cut because they are both, in their own ways, radicals, idealists for whom ideas matter. In an insightful Guardian piece Nesrine Malik notes that there is something ‘genuinely transcendent’ about Rees-Mogg. As his political star has risen he has maintained a preternatural calm, exhibited most recently during his proximity to a scuffle at a university debate in Bristol, which he shrugged off as ‘a little bit of shouting’. Rees-Mogg’s ornate manner might seem a carefully constructed facade. But if it is a mask, it is one he has been wearing for a very long time. Strange to relate, I was a contemporary of Rees-Mogg’s at university in the early 1990s, and I still recall the first time I saw him, sitting quietly before an event at the debating society, thumbing through a Penguin history of Alfred the Great. If possible he cut an even more ethereal figure then than now, pale, razor thin, a 19-year-old in a double-breasted suit. Then as now he was well aware of his eccentric presence, hamming up his debate performances as if delivering them from the balcony of the Viceroy’s mansion at the height of the British Raj. In another life Rees-Mogg might have made a fine character actor, albeit confined to just the one role. And then as now there was the air of absolute assurance. The question of what he would do next didn’t even arise: he would take a job in the City, accumulate as much money as possible, then have a run at a Westminster seat. His political views disturbed my liberal ear quite as much as they do now, but were delivered with such calm indifference and humour that he almost (but not quite) became president of that debating society. To encounter Jeremy Corbyn is to observe something like that same polite, unflappable demeanour, transposed into a different political key. Labour’s surge during last year’s election campaign was facilitated by Corbyn’s manner as well as his message. As Labour closed the gap Corbyn demonstrated a remarkable capacity for grace under fire, retaining his composure through ever more hostile and hysterical questioning about his long political record. Corbyn himself has referred to the Zen mindframe he channelled during those weeks. I was able to watch Corbyn at close quarters when he visited the Waveney constituency early in the campaign. During an unlikely stroll along the Lowestoft promenade on a chilly morning, Corbyn navigated the madness with grace, fielding every barked question from the press, finding avuncular words for each child, smiling through endless selfies requested by passers-by. As one old parliamentary colleague put it shortly after Corbyn became leader: ‘I like Jeremy, and I think he is a thoroughly decent man, who has lived all his life according to his principles. I met him once on the train, and he immediately got out his sandwiches, which were vegetarian of course, and divided them in two and gave me half. I think that might well come across to the public.’ Indeed it did. Like Rees-Mogg, Corbyn seems to navigate political life scarcely aware of the pitfalls that daunt others, cocooned in a seamless weave of convictions. Both formed their respective political worldviews at an early age, outlooks subsequent experience has served only to confirm and deepen. Both, to put it bluntly, are ideologues. Both know what kind of world they would like to live in, and have a map for getting there. Today, ideology is a loaded word, freighted with memories of the political tumult of the first half of the 20th century, weighed down by its association with violence, used more often to insult than to describe. Certainly, Nazism, Stalinism, and today’s various terrorist movements, show where untrammelled conviction can lead. But principle can bend towards peace as well as violence. A settled worldview grounds the believer, allowing them to move through the world with a certain grace. Those most sure of where they stand can also be those who feel the least desire to compel others. Their unlikely rise represents the return of ideology to mainstream politics during turbulent times when technocracy no longer seems adequate. And in the political world, contrary to common assumption, it’s often those with the sharpest convictions who feel the least need to seek power. Neither Corbyn nor Rees-Mogg have played the standard political game. Neither has tailored their principles to the pursuit of power. Corbyn, famously, became leader by accident. Rees-Mogg has stayed true to an archaic strand of Roman Catholicism that, by ordinary political logic, would put him beyond the political pale. Their unlikely rise represents the return of ideology to mainstream politics during turbulent times when technocracy no longer seems adequate. For all its dangers, ideology is the cutting edge that makes political transformation possible. Unworldly as they are, Corbyn and Rees-Mogg are oddly contemporary figures, summoned to high office by an inarticulate but widespread desire for leaders able to calmly point the way forward to new fields of political possibility.